This entry was posted in Android Developers Blog and tagged Android, Audio, Bluetooth on November 27, 2018 by Android Developers. This entry was posted in Android Developers Blog and tagged AAudio for Android, Android, android audio apps, Audio, c#, C++ audio library for Android, how to develop audio apps for android, latency, library, oboe, Oboe audio library, OpenSL ES for Android on October 11, 2018 by Android Developers. Resonance Audio, our spatial audio SDK launched last year, enables developers to create more realistic VR and AR experiences on mobile and desktop. We’ve seen a number of exciting experiences emerge across a variety of platforms using our SDK. Recent examples include apps like Pixar’s Coco VR for Gear VR, Disney’s Star Wars™: Jedi Challenges AR app for Android and iOS, and Runaway’s Flutter VR for Daydream, which all used Resonance Audio technology. We’ve open sourced Resonance Audio as a standalone library and associated engine plugins, VST plugin, tutorials, and examples with the Apache 2.0 license. This means Resonance Audio is yours, so you’re free to use Resonance Audio in your projects, no matter where you work. And if you see something you’d like to improve, submit a GitHub pull request to be reviewed by the Resonance Audio project committers. While the engine plugins for Unity, Unreal, FMOD, and Wwise will remain open source, going forward they will be maintained by project committers from our partners, Unity, Epic, Firelight Technologies, and Audiokinetic, respectively. This entry was posted in Open Source Blog and tagged AR, Audio, Open source, open source release, spatial audio, VR on March 14, 2018 by Open Source Programs Office. Generating very natural sounding speech from text (text-to-speech, TTS) has been a research goal for decades. There has been great progress in TTS research over the last few years and many individual pieces of a complete TTS system have greatly improved. Incorporating ideas from past work such as Tacotron and WaveNet, we added more improvements to end up with our new system, Tacotron 2. Our approach does not use complex linguistic and acoustic features as input. Instead, we generate human-like speech from text using neural networks trained using only speech examples and corresponding text transcripts. 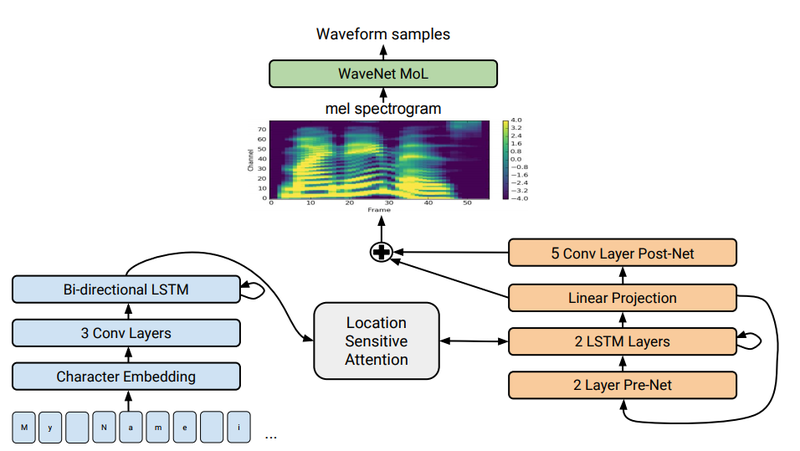 A full description of our new system can be found in our paper “Natural TTS Synthesis by Conditioning WaveNet on Mel Spectrogram Predictions.” In a nutshell it works like this: We use a sequence-to-sequence model optimized for TTS to map a sequence of letters to a sequence of features that encode the audio. These features, an 80-dimensional audio spectrogram with frames computed every 12.5 milliseconds, capture not only pronunciation of words, but also various subtleties of human speech, including volume, speed and intonation. Finally these features are converted to a 24 kHz waveform using a WaveNet-like architecture. A detailed look at Tacotron 2's model architecture. The lower half of the image describes the sequence-to-sequence model that maps a sequence of letters to a spectrogram. For technical details, please refer to the paper. You can listen to some of the Tacotron 2 audio samples that demonstrate the results of our state-of-the-art TTS system. In an evaluation where we asked human listeners to rate the naturalness of the generated speech, we obtained a score that was comparable to that of professional recordings. While our samples sound great, there are still some difficult problems to be tackled. For example, our system has difficulties pronouncing complex words (such as “decorum” and “merlot”), and in extreme cases it can even randomly generate strange noises. Also, our system cannot yet generate audio in realtime. Furthermore, we cannot yet control the generated speech, such as directing it to sound happy or sad. Each of these is an interesting research problem on its own. Jonathan Shen, Ruoming Pang, Ron J. Weiss, Mike Schuster, Navdeep Jaitly, Zongheng Yang, Zhifeng Chen, Yu Zhang, Yuxuan Wang, RJ Skerry-Ryan, Rif A. Saurous, Yannis Agiomyrgiannakis, Yonghui Wu, Sound Understanding team, TTS Research team, and TensorFlow team. This entry was posted in Research Blog and tagged Audio, deep learning, Google Brain, Machine Perception, Publications, Research, TTS on December 19, 2017 by Research Blog. This entry was posted in Google Developers Blog and tagged AR, Audio, Google+, sdk, VR on November 6, 2017 by Google Devs. 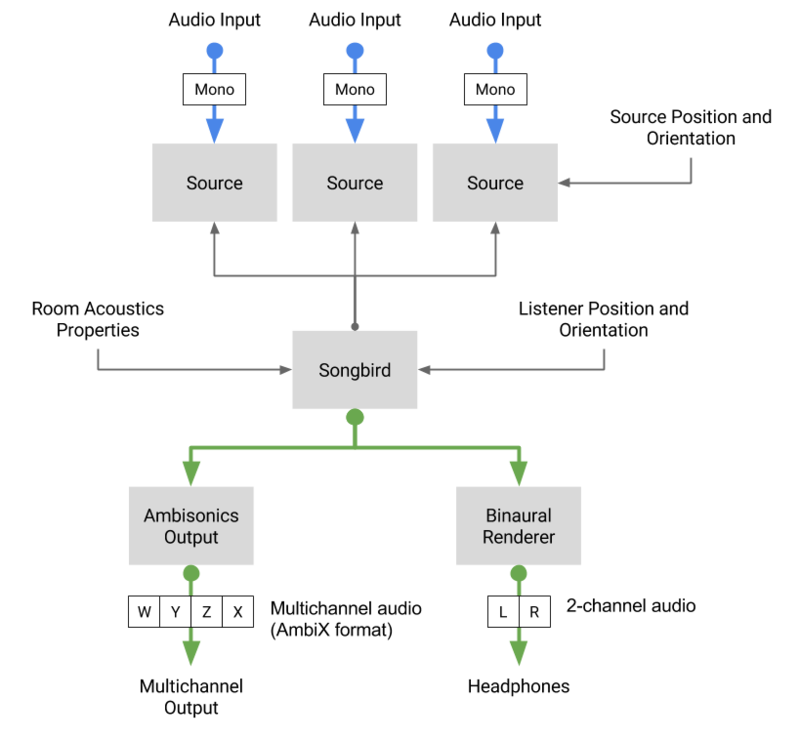 The Songbird library takes in any number of mono audio streams and allows developers to programmatically place them in 3D space around the user. Songbird allows you to create immersive soundscapes, realistically reproducing reflection and reverb for the space you describe. 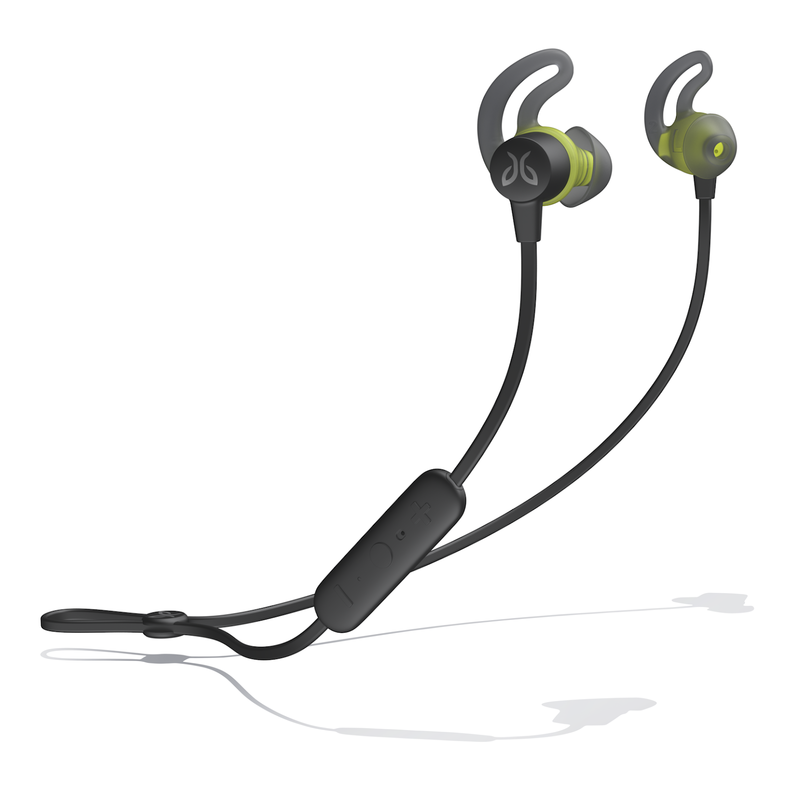 Sounds bounce off walls and reflect off materials just as they would in real-life, capturing truly 360-degree sound. Songbird creates an ambisonic soundfield that can then be rendered in real-time for use in your application. We've partnered with the Omnitoneproject, which we blogged about last year, to add higher-order ambisonic support to Omnitone's binaural rendererto produce far more accurate sounding audio than ever before. The implementation of Songbird is based on the Google spatial mediaspecification. It expects mono input and outputs ambisonic (multichannel) ACN channel layout with SN3D normalization. Detailed documentation may be found here. This project was made possible through close collaboration with Google's Daydream and Web Audio teams. This collaboration allowed us to deliver similar audio capabilities to the web as are available to developers creating Daydream applications. We look forward to seeing what people do with Songbird now that it's open source. Check out the code on GitHub and let us know what you think. Also available are a number of demoson creating full spherical audio with Songbird. This entry was posted in Google Developers Blog and tagged AR, Audio, gaming, interactive music, VR, webvr on September 1, 2017 by Google Devs. This entry was posted in Open Source Blog and tagged AR, Audio, gaming, interactive music, Open source, open source release, releases, VR, webvr on August 28, 2017 by Open Source Programs Office. 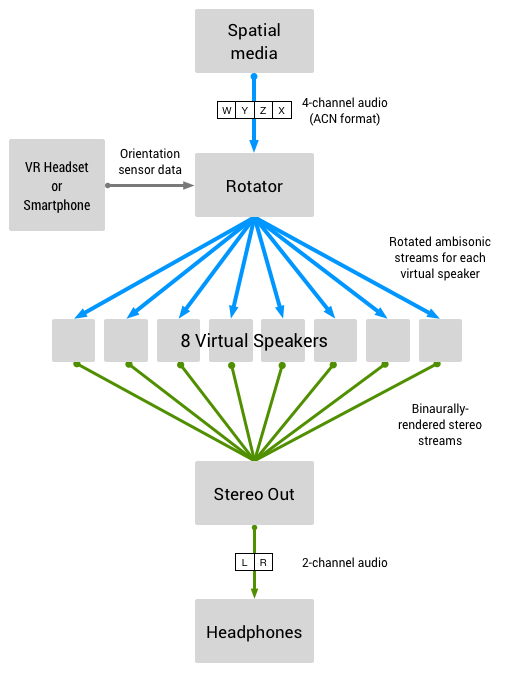 Spatial audio is a key element for an immersive virtual reality (VR) experience. By bringing spatial audio to the web, the browser can be transformed into a complete VR media player with incredible reach and engagement. That’s why the Chrome WebAudio team has created and is releasing the Omnitone project, an open source spatial audio renderer with the cross-browser support. Our challenge was to introduce the audio spatialization technique called ambisonics so the user can hear the full-sphere surround sound on the browser. In order to achieve this, we implemented the ambisonic decoding with binaural rendering using web technology. There are several paths for introducing a new feature into the web platform, but we chose to use only the Web Audio API. In doing so, we can reach a larger audience with this cross-browser technology, and we can also avoid the lengthy standardization process for introducing a new Web Audio component. 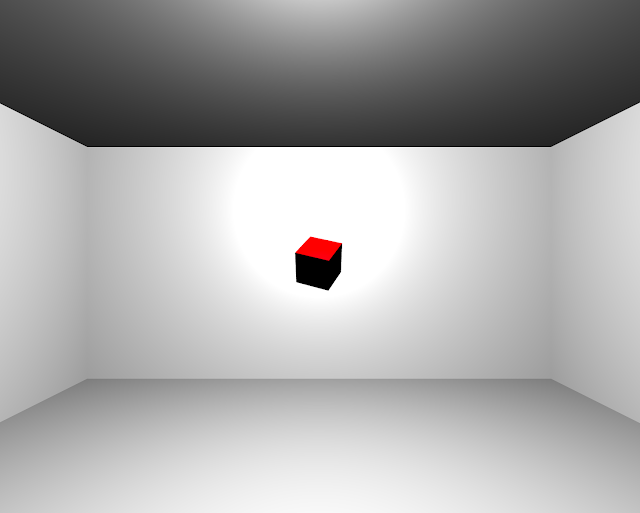 This is possible because the Web Audio API provides all the necessary building blocks for this audio spatialization technique. The AmbiX format recording, which is the target of the Omnitone decoder, contains 4 channels of audio that are encoded using ambisonics, which can then be decoded into an arbitrary speaker setup. Instead of the actual speaker array, Omnitone uses 8 virtual speakers based on an the head-related transfer function (HRTF) convolution to render the final audio stream binaurally. This binaurally-rendered audio can convey a sense of space when it is heard through headphones. The beauty of this mechanism lies in the sound-field rotation applied to the incoming spatial audio stream. The orientation sensor of a VR headset or a smartphone can be linked to Omnitone’s decoder to seamlessly rotate the entire sound field. The rest of the spatialization process will be handled automatically by Omnitone. A live demo can be found at the project landing page. Throughout the project, we worked closely with the Google VR team for their VR audio expertise. Not only was their knowledge on the spatial audio a tremendous help for the project, but the collaboration also ensured identical audio spatialization across all of Google’s VR applications - both on the web and Android (e.g. Google VR SDK, YouTube Android app). The Spatial Media Specification and HRTF sets are great examples of the Google VR team’s efforts, and Omnitone is built on top of this specification and HRTF sets. With emerging web-based VR projects like WebVR, Omnitone’s audio spatialization can play a critical role in a more immersive VR experience on the web. Web-based VR applications will also benefit from high-quality streaming spatial audio, as the Chrome Media team has recently added FOA compression to the open source audio codec Opus. More exciting things like VR view integration, higher-order ambisonics and mobile web support will also be coming soon to Omnitone. We look forward to seeing what people do with Omnitone now that it's open source. Feel free to reach out to us or leave a comment with your thoughts and feedback on the issue tracker on GitHub. Due to the incomplete implementation of multichannel audio decoding on various browsers, Omnitone does not support mobile web at the time of writing. This entry was posted in Android Developers Blog and tagged Android, Android Developer, Audio on April 4, 2016 by Reto Meier.